What is Non-Trucking Liability, or as we call it, NTL? A broad definition of Non-Trucking Liability, or NTL, is liability ​insurance ​coverage for when you use your commercial vehicle for personal use. ​Non Trucking Liability provides coverage for property damage or bodily injury to a third party. Non-Trucking Liability is in most cases, required by the motor carrier with whom the owner operator has signed a lease agreement. This insurance fills a potential gap for non-business use of the equipment, and helps to protect the motor carriers primary liability policy. Non trucking insurance is not the same as bobtail insurance, so please verify with your motor carrier which coverage they require ; in most cases, the requirement will be NTL, and the limit will be $1,000,000 CSL. Why do I need non-trucking liability​ insurance​? When an owner/operator leases on to a motor carrier, the commercial auto liability policy of that motor carrier will provide coverage while the owner/operator is under dispatch. The definition of dispatch usually includes the return trip to the point of origin. However, since the leased operator owns the equipment, there are times when that vehicle may be operated while not under dispatch; non-trucking liability provides coverage if you were to damage another person’s property or even injure them during personal use of your commercial vehicle. Generally speaking, non-trucking liability is coverage for non-business use; the motor carrier’s liability policy will cover you from the dispatch point, through pick-up and delivery and back to point of origin. Any personal use between your return, and the next dispatch should, in most cases, be covered under NTL. There are exclusions though, and the insured needs to read their policy carefully. How do I get non-trucking liability coverage​? InsureMyRig.com is the internet’s leading agency for owner/operator coverage, and we can offer non-trucking liability quotes over the phone, by email or even using instant chat on our website. We offer several different pay plans, and almost all of our policies are continuous until cancelled which makes it more convenient for our customers. We can package your non-trucking liability with physical damage coverage, and occupational accident insurance and we can also provide supplemental coverages such as downtime / rental reimbursement, declining deductible and coverage for electronic equipment in your truck. 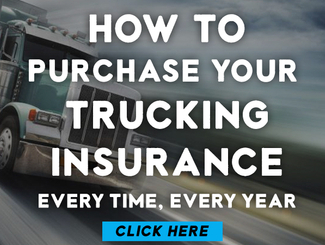 Trust InsureMyRig.com to assist you with all of your trucking insurance needs. We’ve been writing trucking for over 80 years. Driving your 18-wheeler without the trailer attached is known as bobtailing or, more commonly, deadheading. Semi owner operators who occasionally make deadhead trips with or without dispatch are usually required by their motor carrier to have special coverage, known as Bobtail insurance. Bobtail insurance also would apply when you are traveling between loads without the trailer attached. Non-trucking liability insurance is a more narrow coverage and does not cost as much as Bobtail insurance. Which One and How Much Will They Cost? Generally, trucking companies will require their independent big rig drivers to carry Bobtail insurance since it’s common for them to drive their 18 wheelers without their trailers but under dispatch. Non-trucking liability insurance is not as common but still usually required by most commercial motor carriers since independent semi operators often drive their big rigs without trailers on personal trips. 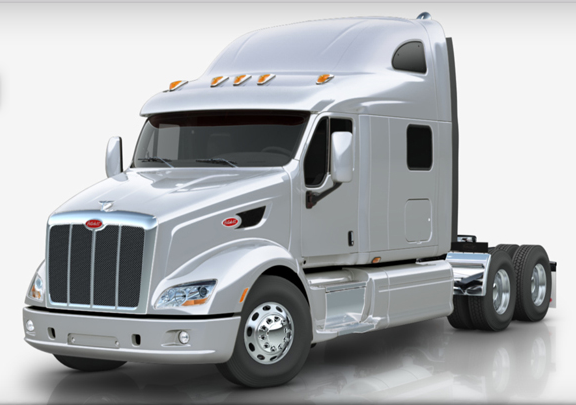 Overall, Bobtail provides wider coverage than non-trucking liability and usually is more costly. The most requested coverage is the $1 million limit, but higher limits are available. Your cost will depend on the amount of coverage you carry for each but plan on spending more for bobtail coverage than non-trucking liability. What Now and Where to Buy Coverage? Remember: Before you buy either coverage, check with your motor carrier on which coverage is required and how much it costs. Then contact a professional trucking insurance agent with extensive knowledge of the trucking industry for a quote. You can save a lot of time and money working with a pro. InsureMyRig.com has experienced bobtail and non-trucking liability insurance experts who can provide coverage to individual big rig drivers or to a group-leased operator plan. Give us a call today or fill out a quote online.